NEW deadline for Fall 2019 admission is Feburary 1, with all supporting material so that the review committee can begin the review process in mid-Feburary. We will ONLY accept materials submitted electronically. Our department offers a 30-hour, two-year long graduate program culminating in the Master of Arts degree. Since we began offering the master’s degree in 2007, anthropology graduate students at NC State have distinguished themselves by conducting original research projects, presenting their findings at regional and national conferences and publishing their scholarly work as co-authors with program faculty. Our faculty conduct research across the globe in archaeology, biological anthropology and cultural anthropology, and have created opportunities for students to become involved in ongoing studies. We prepare our students to enter top-ranked doctoral programs and to find satisfying careers in non-academic and applied settings. Applicants are encouraged to visit us in person either through the “Visit NC State Program” (applications due October 22, 2018) or on one of our visitation days: Friday, November 2 and Monday, December 3. NC State Welcomes Julie Wesp! 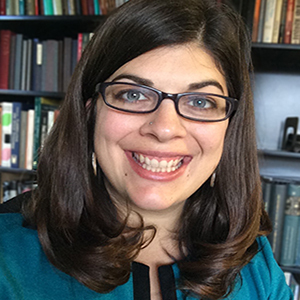 The Department of Sociology and Anthropology welcomes new faculty member Dr. Julie Wesp. Dr. Wesp will join the department in January of 2019. Dr. Wesp specializes in bioarchaeology and Mesoamerican complex societies with excavation experience in various regions, including Central Mexico, Honduras, and the Yucatan Peninsula. Her most recent research focuses on using non-invasive techniques to record how biomechanical stress from daily life activities become incorporated into bone. We welcome prospective students at any time. We offer two ways to visit in the Fall semesters. On campus visits: Get to know the campus and program at your own pace. These are informal days when faculty will be around to meet, but you set the schedule. Reach out to faculty you want to meet by email, and definitely let the Anthropology Graduate Program Director know you’re coming. Email: Dr. John Millhauser: millhauser@ncsu.edu. Visitation days for Fall 2018 are: Friday, November 2 and Monday, December 3. Dr. Shea McManus brings her expertise in Anthropology, Design, and Humanitarianism to a virtual reality event hosted by the Raleigh Urban Design Center. Held at the City of Raleigh Museum, the event explored how virtual or augmented reality can serve as a tool for better communication, collaboration, and engagement. Dr. McManus has been investigating how virtual reality might be productive in the development of empathy, particularly in the context of humanitarian crises. Following a discussion panel, attendees used VR headsets from NC State’s library to view the U.N.-funded documentary Clouds Over Sidra, a short film about Syrian refugees in the Za’atari refugee camp in Jordan. Dr. McManus, along with graduate students Vanessa Way and Sarah Edwards, were on hand to discuss reactions to both the film and the experience of virtual reality. Maomao Tang is a second year master's student studying cultural anthropology. She brings her interests in museum studies and cultural heritage to an internship at the North Carolina Museum of Natural Sciences in Raleigh, where she has been collecting data on museum visitor demographics. Maomao will use her experience at the museum to fulfill the program's non-thesis requirements and as she moves forward after graduation. Dr. Dru McGill and Dr. John Millhauser bring their expertise in archaeology, heritage, and applied ethics to the Oberlin Village Cemetery, a historically and culturally significant African American cemetery in Raleigh. The Friends of Oberlin Village, a non-profit organization dedicated to preserving the history of the community, has invited students and faculty from NC State, William Peace, and other universities to assist in documentation and preservation efforts. To learn more about Oberlin Village and the Friends of Oberlin Village, please visit https://friendsofoberlinvillage.org/. Will Turner is a second year master's student studying archaeology. Through an interim position at the Office of State Archaeology in Raleigh, Will has gained valuable and relevant experience in his field. His current projects include artifact identification and preservation for the Court House site in Halifax, North Carolina, as well as a site in Charles Town, North Carolina. We offer three anthropology program specializations to graduate students: Archaeology, Biological Anthropology and Cultural Anthropology. Students may pursue a stand-alone degree in Anthropology or a dual degree (for example, with the Masters of Arts in Teaching). Students may also combine their Anthropology degree with a concentration related to one of the “associated NC State resources” listed below. Understand the fundamentals of human social organization and social inequality past and present. Research the material evidence of social, political, and economic organization and change using archaeological methods. Develop a framework for critically assessing the theories, methods, and data that archaeologists apply to the topics of political organization and social inequality in historic and prehistoric contexts. Understand the legal, ethical and practical aspects of the management of archaeological resources. Study relationships between cultural and natural heritage and the social and political processes involved in conservation and preservation. Build partnerships with community groups focused on cultural heritage and preesrvation. Develop professional experience and critical skills related to cultural resource management and public outreach. Study the policies and practices of cultural resource management as it pertains to the investigation of archaeological resources. Design and implement collections management policies and plans. Develop professional experiences and skills related to cultural resources management and collections management. Research how human skeletal remains can be used to reconstruct daily life in the past. Analyze the impact of gender differences on the lived experiences of past peoples. Understand how social organization and complexity impacted human health and disease in the past. Examine how biomechanical stress from labor and activity manifests itself in the skeleton. Research the impact of diet and health on size variation in the skeleton. Understand how sexual dimorphism and stature are influenced by life circumstances. Examine the potential of skeletal defects as indicators of genetic relationships. Faculty who work in this area include: Case and Walker. Understand global processes and their effects, especially at the intersection of the local with the global, upon social and cultural groupings and fields of action. Evaluate how global processes affect issues of social justice, in areas of law, the environment, cultural resource management, and fair labor practices. Research local perspectives and interpretations of global processes and how these shape the effects of globalization on the ground. Develop a framework for critically engaging social justice issues, as shaped and transformed by conflicts among forces ranging from global to local. Faculty who work in this area include: Haenn, Millhauser,and Murray. Examine the cultural construction of science, nature, and the human body. Investigate the intersection of political and market forces with the environment, health, and medical practice. Consider the effect of academic knowledge practices on health initiatives and natural resource management. Develop a program for carrying out positive change in the fields of environment and health. Faculty who work in this area include: Haenn, Millhauser, Murray, and Wesp. The Anthropology Graduate Program is a 30-hour, two-year long Master of Arts degree. All students in the program will take a 1-hour proseminar course their first semester. This course teaches students about the professional aspects of being a student and an academic. Students with a specialization in archaeology or biological anthropology (bioarchaeology, skeletal biology) will normally take three hours of archaeological method and theory (ANT 583), and students with a specialization in cultural anthropology will take three hours of anthropological theory (ANT 511). All students following the thesis track are also required to take six hours of thesis research credit (ANT 695). Our state-of-the-art anthropology labs are the result of six years of work by university architects, planners and designers consulting with anthropology faculty. Our centerpiece anthropology teaching lab serves as a classroom for hands-on introductory classes and advanced courses. The osteology lab is home to comparative human skeletal elements, complete skeletons and casts of skulls, all designed to help students understand the human skeleton. The archaeology lab contains a wide variety of artifacts, bones and biological remains that are all we have left to help us understand past human societies. The Archaeology Laboratory offers undergraduate and graduate students the opportunity to gain hands-on experience analyzing and curating archaeological collections from around the world. A graduate Teaching Assistant overseas research projects and is available as a resource for undergraduate independent study students who use the lab. Graduate and undergraduate students can participate in and learn how to undertake curation and specialized examinations of archaeological remains such as stone tools and pottery. The lab has several comparative collections of stone tools and raw material, with a special emphasis on the southeastern states. State of the art computing, measurement, microscopy and photography equipment allows for precise data collection and technologically advanced analysis of archaeological remains. The Osteology Laboratory is equipped with hundreds of real and cast bones for student study. The lab also contains an ever-growing sample population of complete modern human skeletons available for both graduate and undergraduate analysis. A library of the American Journal of Physical Anthropology (1973-latest) is also maintained in the osteology lab, as well as standard photography, microscopy and measurement equipment. The Teaching Laboratory offers a large, modern space for undergraduate and graduate study. The spacious tables can accommodate a full human skeleton for osteological analysis, providing enough room for an entire class of students to experience hands-on learning. The teaching lab also houses the department’s hominid and evolutionary fossil stone-tool and bone replicas – from the skulls of Lucy (Australopithecus afarensis) to European Neanderthals, these unique casts are available to students and faculty. Equipped with a full suite of modern educational technology, the teaching lab is a great place for undergraduates and graduates to learn and study. For access, please visit the graduate teaching assistants in the Osteology Lab, Park Shops 230, – open from 9:00am-5:00pm, M-F.
Each year, we receive an average of 40 applications for our Fall admissions and admit an average of 12. For information on the application process, as well as upcoming visitation dates, read the information below. Transcripts: You will need to upload unofficial transcripts of all your academic course work since high school, including each institution of higher education you have attended. You will only need to send official transcripts to the Graduate School if you are admitted. Do not send transcripts to the Graduate Program in Anthropology. Graduate Record Examination (GRE): We require the GRE. We do not have a cut-off point, although we especially seek applicants with combined verbal plus quantitative scores above 300 and a score of 4 or above on the Analytical Writing Examination. If your scores are not high, we may still admit you if other parts of your application are strong. As with transcripts, we can evaluate your application with a photocopy or fax of the score report but eventually we will need an official report from the agency that administers the test. Letters of Recommendation: We require at least three recommendations. The Graduate School application packet includes a form for your references to use. This form only has a small space for comments. Please ask your references toa dd a letter in which they provide more detail. Specifics about their experience with you are particularly informative. If you are not currently in school, please take care in selecting the people to write these letters. We need to know how you are likely to perform in an academic setting. Personal Statement: This is usually a relatively brief statement of about two pages. We are especially interested to know how graduate training in anthropology fits into your intellectual and professional goals and plans. Please indicate in your statement which of our program specializations you are most interested in and why. Writing Sample: We pay very careful attention to the example of your writing that you submit. We look for organization, use of evidence, logic of argument, and quality of analysis. Typical submissions include course papers and senior thesis chapters. We strong prefer writing samples of approximately 15-25 pages in length. If you would like us to read part of a large work, you could attach an explanation of how the part relates to the whole. The deadline for Fall admissions is Feburary 1, with all supporting material so that the review committee can begin the review process in mid-Feburary. We will ONLY accept materials submitted electronically. Please note that our program accepts full- and part-time students to begin their studies during the Fall semester only. We do not accept applications for Spring admissions. The Graduate School requires payment of a $75 application fee ($85 USD for International applicants). The Graduate School may waive the application fee based upon the applicant’s need and to achieve greater diversity for certain underrepresented groups. In requesting this waiver, you will need to contact the Graduate School (see contact information below). To apply you may complete an on-line application for admission to graduate school. If you do the form electronically, however, you must still mail in your check for the application fee (currently $85.00 in U.S. currency drawn from a U.S. bank or from an international bank with a U.S. affiliate) and other parts of the application, enumerated below. TOEFL scores for applicants who are not native English speakers. You can view our English Proficiency Requirements for more information. Three letters of recommendation (we will be especially interested in reading the recommendation of a social scientist who can assess your promise as a social scientist). A sample of your writing, such as an academic paper you have written. A personal statement of the relationship of graduate training in anthropology in our department for your long term interests, including your professional career intentions. Our program is committed to supporting students to the extent we can. We offer teaching and other assistantships on a competitive basis through the Graduate School’s Graduate Student Support Plan (GSSP). Assistantships provide tuition coverage for Fall and Spring, health insurance for the year, and a biweekly stipend from August to May. We also advocate for students by applying to special funds for outstanding students and several types of minority scholarships awarded by the Graduate School. Students who seek funding outside the department, such as through the campus Fellowship Advising Office, can count on faculty input to strengthen their applications.